Birds of Prey (and the Fantabulous Emancipation of One Harley Quinn) has officially wrapped filming. An Instagram post from Margot Robbie’s LuckyChap Entertainment revealed the news along with a look at the film’s logo, which has some hidden symbols in the lettering. The Birds of Prey film is scheduled to open in theaters on February 7th, 2020. Actress Lena Waithe has just been cast in an unspecified role in HBO’s Westworld Season 3. Waithe is best known for her work co-writing and acting for Netflix’s Master of None. 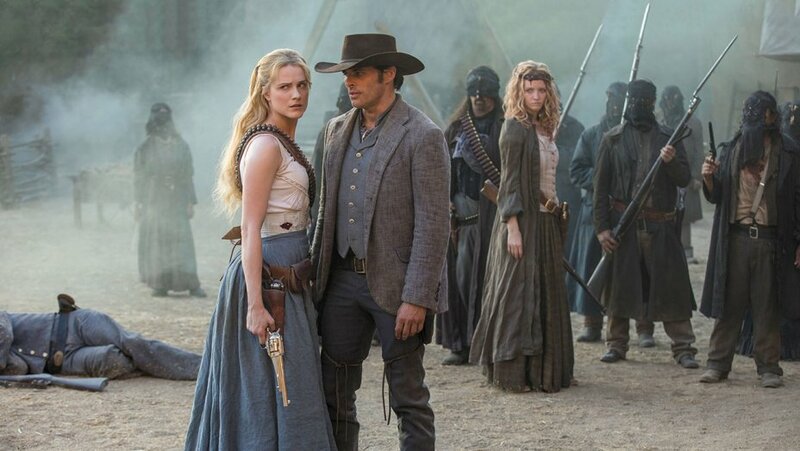 The newest season of this dystopian robot drama has just begun production and Westworld Season 3 will not air on HBO until 2020. Netflix is teaming with Yasuhiro Irie, the director of Fullmetal Alchemist, to produce a new sci-fi anime series called Eden. The series will run for four episodes and is part of Netflix’s push for more original anime programming. 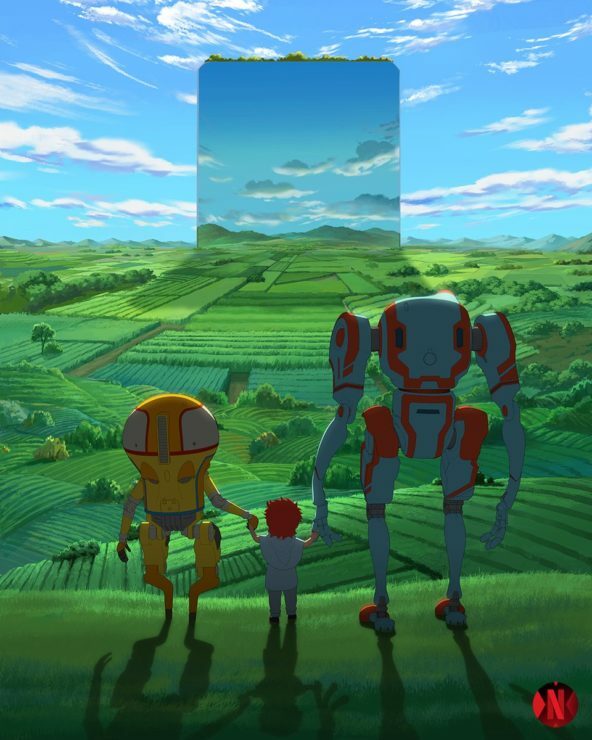 Netflix posted one teaser image for Eden, featuring two robots holding hands with a child in a green valley. The entirety of the 2003 Tremors television series is being uploaded to YouTube for free streaming. This news follows Syfy’s official decision not to launch a new Tremors series starring Kevin Bacon, despite the franchise having cult status with fans. The first two episodes of Tremors: The Series are currently streaming free on YouTube, and the remaining 11 episodes will be uploaded through May.